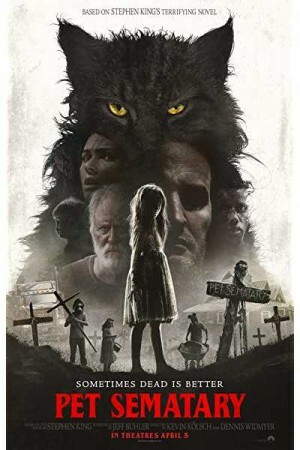 Pet Sematary, an American supernatural horror movie, is the story of unnatural events as happened in the town of Maine. Boston-based doctor, Louis Creed moves to his new home in the area with his family including wife & 2 children. While exploring the woods, the couple discovers a mysterious burial land as their daughter Ellie stumbles across a procession of children taking a deceased dog to the cemetery. Soon, a tragic incident follows and Louis fails to save a student injured in the same. Things start turning perilous leading to horrific nightmares as the family fights to survive. The movie reveals the consequences of the events as they happen in a horrific manner.